Women's Health and Peri-Natal Care. The Role of Physiotherapy. Women’s Health Physiotherapy is a specialized area of treatment that aims to address issues caused by pregnancy and child delivery. During pregnancy and delivery the body undergoes huge changes and this causes muscles, ligaments and connective tissue to stretch and deactivate, creating a difficult situation for women to create stability around there spine and pelvic girdle and difficulty maintaining normal pelvic functions. Diastasis rectus abdominus - where the abdominals separate in the midline. 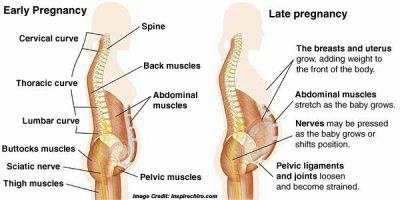 Deep Abdominal and Pelvic Floor Dysfunction - this results in low back, pelvis and pubic symphysis pain. Urinary Incontinence or Prolapse - often as a result of sports associated with mild impact such as running or jumping. This is generally a result of your pelvic floor and muscles supporting your pelvic floor being stretched or torn. peri-natal or postnatal related musculoskeletal changes/impairments - physiotherapy manual therapy techniques are used to treat a variety of muscle, joint, ligament and postural issues associated with changes during pregnancy and child delivery. The human body is amazing at functioning with the changing forces on it at pregnancy progresses and coping with the stress of childbirth. There are however several situations where help is needed to restore normal function and help women return to a pain-free active lifestyle.